Welcome to the Toronto Sailing & Canoe Club. We are a non-profit, volunteer-run club located right on Lake Ontario in Toronto's Humber Bay. 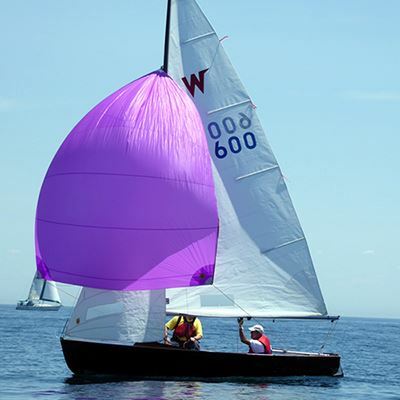 Founded in 1880, the club offers racing, cruising, sailing instruction, recreational paddling and children's sailing camps. 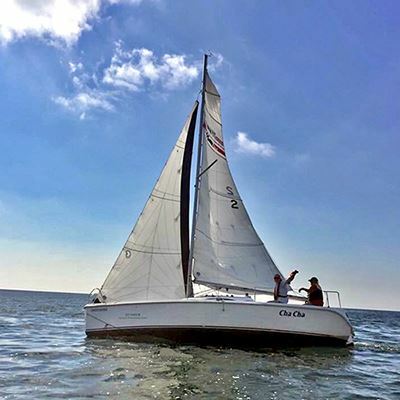 Moor your boat, drysail it, or sail one of our fleet boats. Dragon boat and outrigger teams are resident as well. TS&CC has been the organizer of the Ice Breaker regatta since 1970. Sail Canada and the Ontario Sailing Association have selected the club as one of the training centres for Canada’s high performance sailing team, where young sailors train for international competition and the Olympic Games. TS&CC is an inexpensive, fun sailing and paddling club. Look under Join Us for a membership option that suits you. To read more about the club and how it functions, click here. Our quality, affordable learn-to-sail programs designed for all levels and age groups are now open for Registration for the 2019 season. You do not need to be a club member to enrol. TS&CC is able to fulfill all of your learn-to-sail needs in a friendly family-oriented atmosphere. Get Out on the Water is an event put on by Ontario Sailing and the Toronto Sailing & Canoe Club to allow anyone to experience the joy of sailing for a day. This is a fully free event, adults and children are welcome. For more information and to register your time slot, click here. To become a Sail Canada Basic Cruising instructor, check the info at the url above, and sign up for a clinic! This is the first level in the Cruising Instructor Program. Successful Candidates are able to certify the Basic Cruising Standard and PCOC (Pleasure Craft Operator Card). At the course, you will receive intensive training in how to teach, plan lessons, and evaluate students. You will be evaluated on Rules I-37 & 40 of the Collision Regulations, local knowledge, safety equipment and regulations, Sail Canada Policy, Basic Cruising Exam (90%) and Intermediate exam (70%), operation and maintenance of inboard and outboard engines and marine head, crew overboard procedures, and various sailing skills. For the upcoming paddling and sailing season, our Current Board, has scheduled a number of work weekends. These are great opportunities to get your work hours completed. Please take a few minutes to look at the Events Calendar to see what has been planned these weekends, and sign up for the event that best suits your schedule. Keep an eye on the Calendar for other events we have planned this year. View full Events Calendar. Look under Paddling for the Paddling Events. Become an Intro Dinghy Member for only $360! Join as a Fleet Member and sail our boats! Ontario Trillium Foundation as a funding partner.